How does the cooperative work? We have pre-negotiated discounts with our partners DHL Express Ireland. The more members we have, the more volumes we can ship together, which reduces the cost of exports for everyone. Check out more information at About Us and the discounts available at Sign Up! We are bound by a legal contract not to disclose the percentage discounts you can expect. We are however, able to tell you if we can beat your own shipping costs. Drop us a line on our contact page telling us your number of parcels, weight and dimensions and we will tell you if we are able to beat your prices. Remember, the more members and the more volume of items we ship, the better value for everyone! 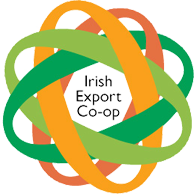 Does the Cooperative Work in Northern Ireland? As our contract is only with DHL Express Ireland, we are only available to offer our services to Republic of Ireland companies at this time. With enough interest, we would be happy to help companies in Northern Ireland set up with similar services. How is the Cooperative Funded? How do I log into my DHL Account? Don’t worry. Please send on your details and your PAYPAL EMAIL and we will issue you your membership number to your address. If you have experienced any issues, please inform us through our contact page. We can only assist if we know there is a problem. What if my goods did not arrive? Why is there a 48 hour delay when first registering? 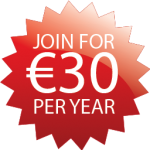 We have negotiated substantial discounts for our members. But we must make sure that members are new, are not existing members of DHL Express with an ongoing contract and are registered companies. This just takes a little time!